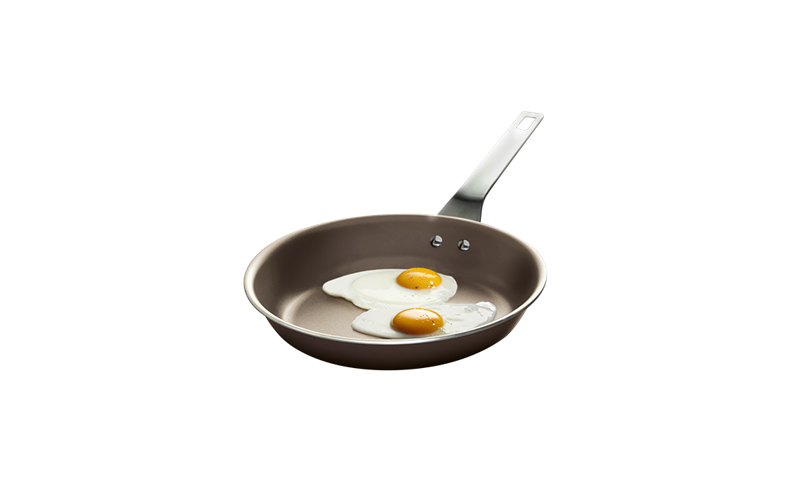 AEG Aluminium Frying Pan 2 Set in Champagne is rated 3.0 out of 5 by 1. The champagne coloured aluminium non-stick Frying Pan Set is ideal for everyday frying, searing and browning with little or no oil. The high quality non-stick surface on the AEG 2 Pan Set allows you to cook those meals prone to sticking. Rated 3 out of 5 by PS from Good nonstick pan Really nonstick. Easy to clean and can stand higher heat.